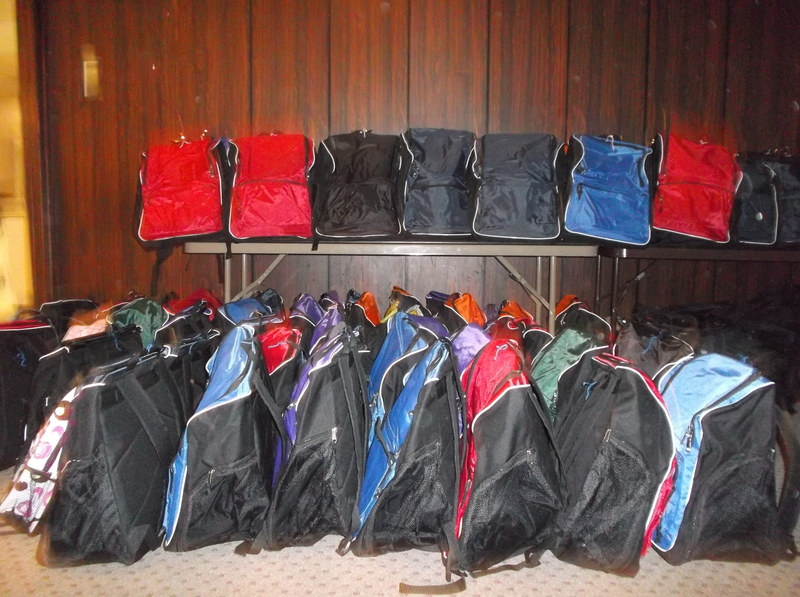 Thank you to all the supporters of the RI Dream Center Hope for the Homeless Winter Survival Backpack Sponsors!!!! If that’s not a mouthful, I don’t know what is!!! 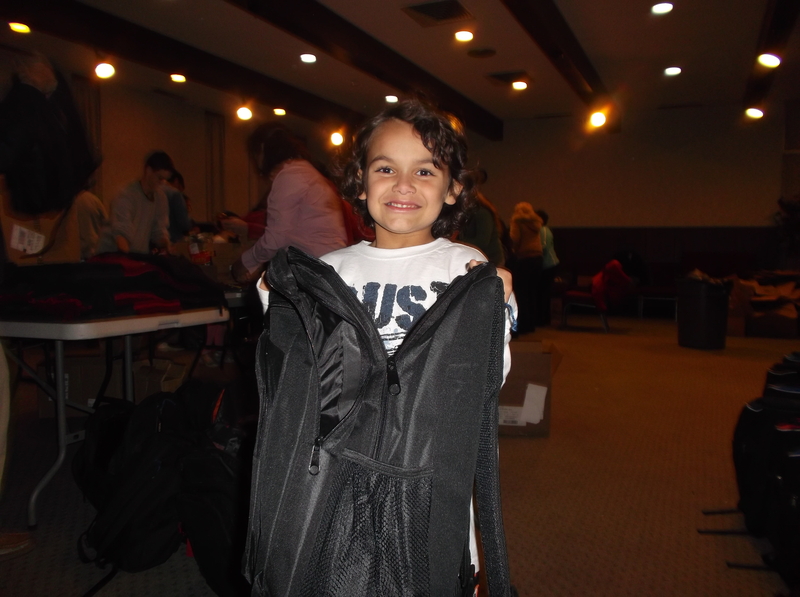 Here’s the scoop, for those of you that don’t know what’s up – every year we hand out 300 free backpacks to the homeless filled with winter survival supplies. Yeah, it’s expensive, and yeah, it’s a lot of work….but it is soooooooo worth it!!! 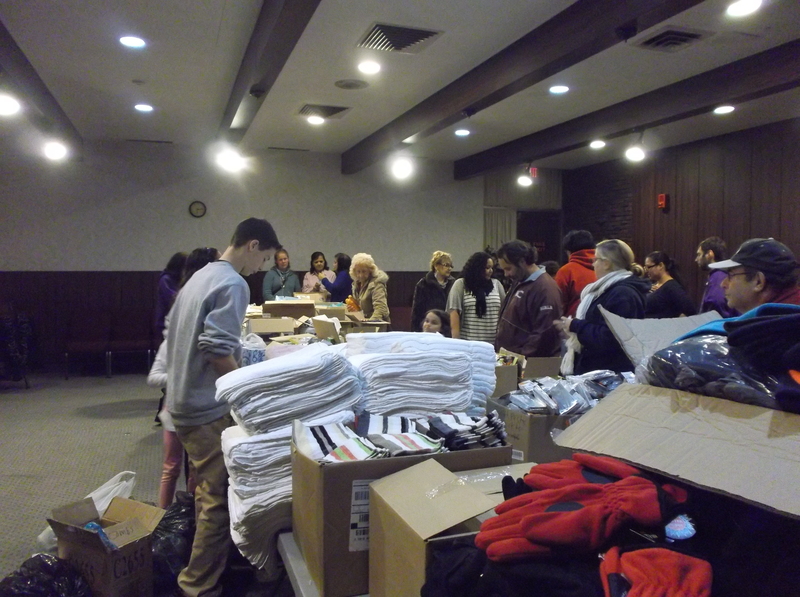 To get it done, we rely on friends and family of the RI Dream Center for support. One of the main fundraisers is the Walkathon. Another way we raise support is simply by asking for supplies, and year after year I am totally amazed by the outstanding efforts of ordinary, everyday citizens of our community that help provide supplies for our backpacks. 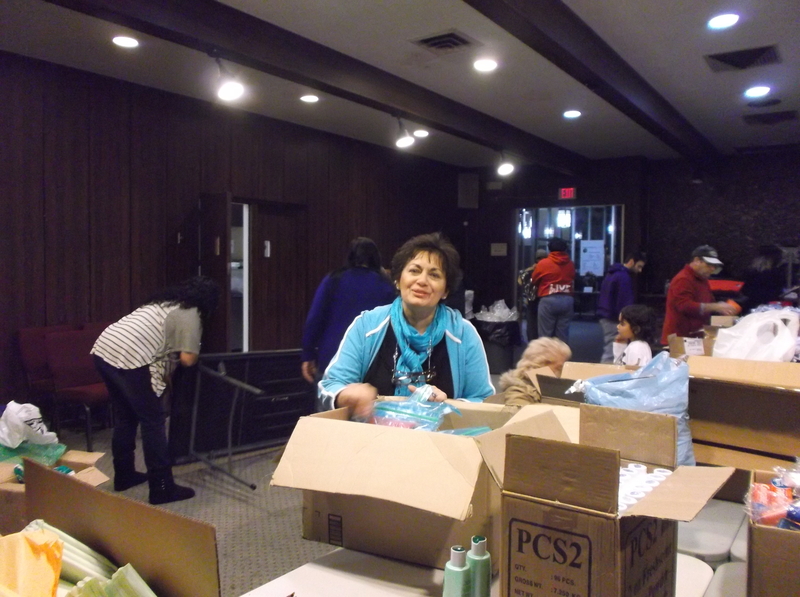 Other helpful items are hand sanitizer, alcohol free mouthwash, toilet paper and feminine hygiene products. As you can see, it’s a lot – just multiply that list by 300!!!! We have already started receiving some donations, but if you would like to help us out by donating any of the above necessities it would be great! If you would like to donate anything, leave a comment below and we will figure out the best way to connect! 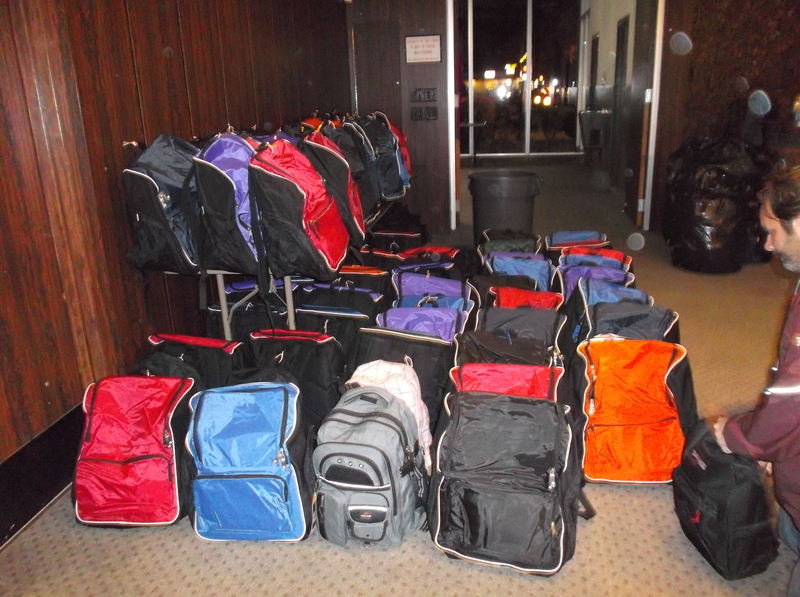 Filling of the Backpacks – November 11th at PT Church at 6:00 pm until…..whenever we’re done! If you would like to help out with ANYTHING you have read about in this post, please let me know and we will put you in contact with someone running each of these events! Thanks so much for taking the time to read this blog!!! Well, it’s been a busy few days at the RI Dream Center. Last night, we had an RIDC meeting and we talked about a lot of exciting things coming up in the next month or so. We talked about our annual upcoming Hope for the Homeless Event coming up on November 9th (we are having a festival for the homeless and raising awareness for their plight on Nov. 9). We’ve held this event at a number of different churches throughout the years – this year it will be at our home office at Praise Tabernacle Church. 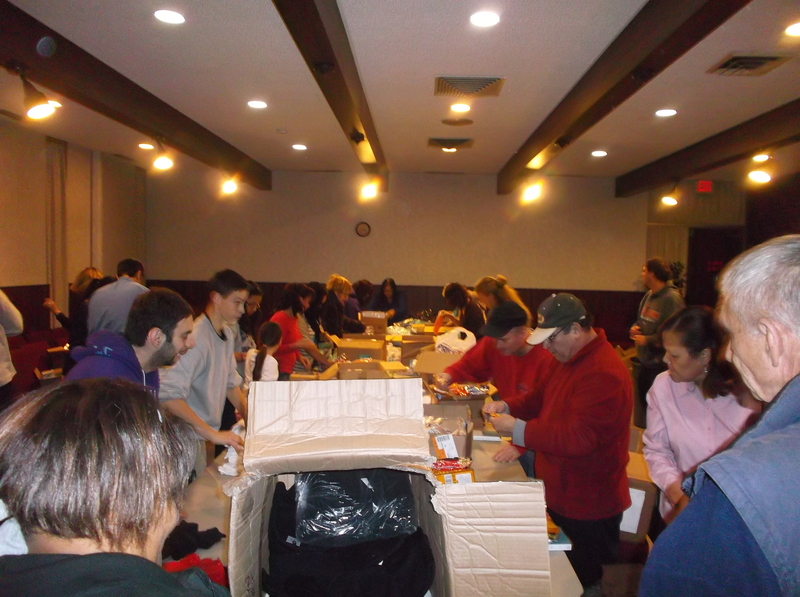 We also talked about organizing the inventory and purchasing the rest of the items needed for our backpack drive (we are handing out 300 backpacks filled with winter necessities to the homeless on Nov. 16), It’s always a blast hanging out with the team as they hand out the backpacks each year. We also talked about some really great, strategic partnerships we are forming with other organizations working towards the same goals we are reaching towards. I am really excited about this opportunity. That’s all I can say for now…but I am really excited about these partners (that is an enormous understatement). The whole time we were talking about our upcoming events, we had a whole ‘nother planning committee meeting in one of the other rooms to plan the H4H event out in greater detail. It’s looking like they are planning a walk downtown and through Kennedy Plaza to raise awareness for the homeless. This year’s event has the makings of the biggest and best H4H event thus far. All this was going on while Praise Tab was having its youth service, Youth Redefined…it’s exciting being there with so many other people, working towards the good of the community and building off of everyone else’s energy…we are all feeding each other and pushing each other to do things bigger and better. And the same thing happened tonight…George got everything ready for me for the Food Truck tonight because I was short my regular prep-guy…while he was preparing the soups, hot cocoa, etc, the leader of the Narcotics Anonymous meeting was setting up in the next room over. Once the Food Truck finally got going, the church had its prayer meeting in the next room over on the other side! When I came back to clean up after the Food Truck, the NA meeting was just finishing up…it is an exciting time to be involved in all this stuff…and I truly believe we are making a significant impact in the community. Tonight, for instance, we fed seventy-two people on the Food Truck. It was the first real cold night of the season I have been out there since last Winter, and a lot of the people we feed are people we have been feeding Winter after Winter…some seem to be stuck in the system, but I really hope they can find a way out. One of my regulars loves coming out to hear my music (tonight I had a Stevie Wonder mixtape blasting through my little boombox)…they call him Alabama and he stays over by Prairie Ave. Sometimes he is completely drunk and just dances to the music the whole time, and other times he is sober and just wants to say hi. He always says, “I knew it was you because I could hear your music!! !” No matter what, he always brings a smile to our faces, and it’s these simple, yet significant, interactions that really make the Food Truck special to be a part of. It hurts me even more because tomorrow we have another event for our homeless women…tomorrow morning, at our office, we are hosting another I Need You To Survive event, where we bus homeless women in and give them free makeovers, haircuts, dyes, etc…the difference between being passed out on Broad Street and showing up to our event tomorrow could be razor-thin for these ladies…and I hope that we can help them all! Well, Dream Center Diary, I think that is enough for tonight…we will be back at it soon…as I think about all the ways people are touched in that building on a nightly basis, I am truly excited about what our future holds…imagine the impact you and I can make together for those less fortunate throughout the next fifty years!!! Thanks so much for coming back to check in! November 16 kicks off National Hunger and Homelessness Awareness Week (check out the National Coalition for the Homeless website for more info (http://www.nationalhomeless.org/projects/awareness/index.html)…and that means the Dream Center is preparing for our annual Hope for the Homeless event. 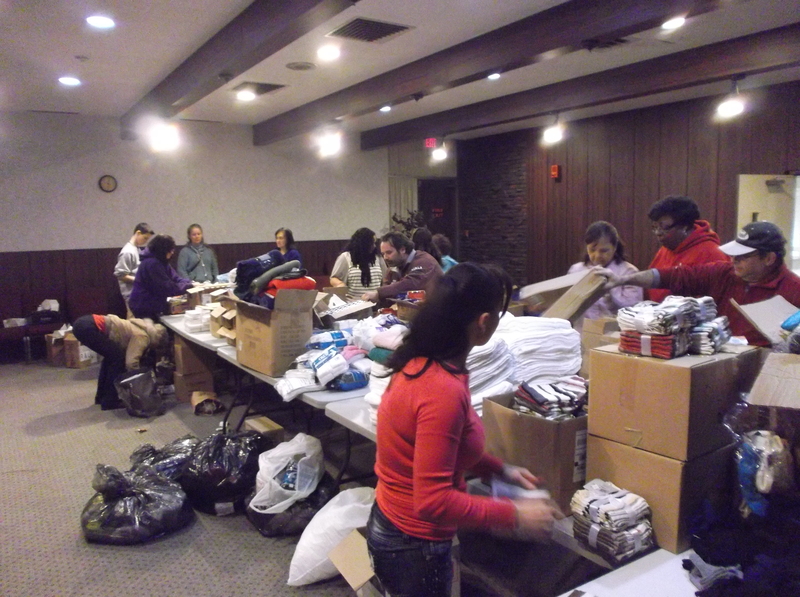 As in years past, we’re handing out 300 backpacks filled with winter necessities to the homeless to help them prepare for the upcoming winter. Passing out backpacks has become one of my most favorite traditions, and I am so proud of the team for faithfully raising funds, filling backpacks, and handing them out year after year. It really brings things into perspective for me, working with folks who have no more than what they can carry in their backpack everyday…even for those that are sleeping in shelters, most need to load all their belongings up into the backpack when they are forced out in the morning and need to carry everything they own with them all day until they can find some rest back at the shelter later that night. 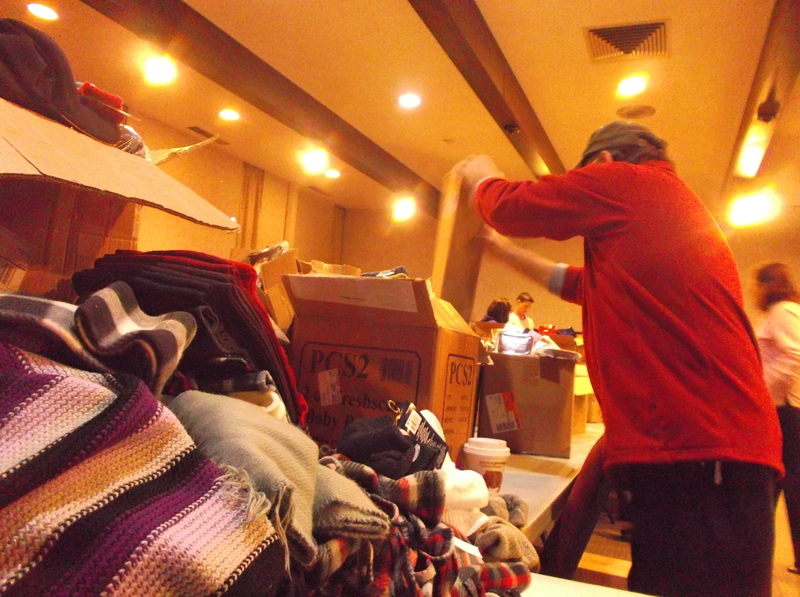 Yeah, it’s a lot…but this might be the only gift some of these individuals gets this year…and if we can help one person survive another cold RI Winter then we are going to do EVERYTHING in our power to do so. So, if there is anything you can do to help, it would be greatly appreciated. You might find a great deal on hand warmers and tooth brushes, or you might want to donate to the cause…whatever you can do to help would be greatly appreciated. Every little bit helps – your gift might be that gift that helps someone. We have one more unique opportunity as well. We are having a walk-a-thon to help raise awareness and will be selling sponsorships that will be displayed on the team’s RIDC t-shirts. For a gift of $50, we will list your business name on the t-shirt announcing your sponsorship of this great event. Every little bit helps… We really appreciate any donations you can help us with. 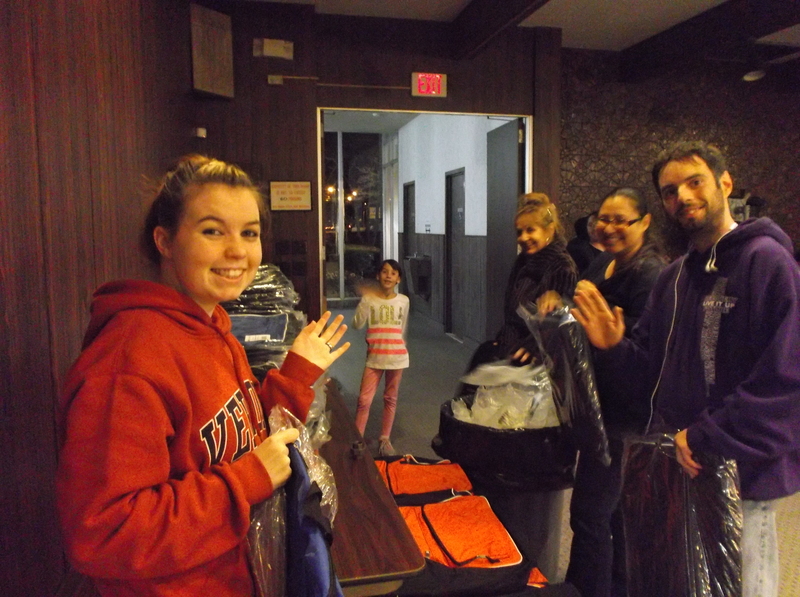 Thanks so much for checking in today – be sure to check in soon for future posts to the Dream Center Diary!